Sorry for the lack of posts the past week. Honestly Club Penguin hasn’t really made any big updated beside the Brown Puffle which to me, doesn’t really matter. Now to to the cheats! 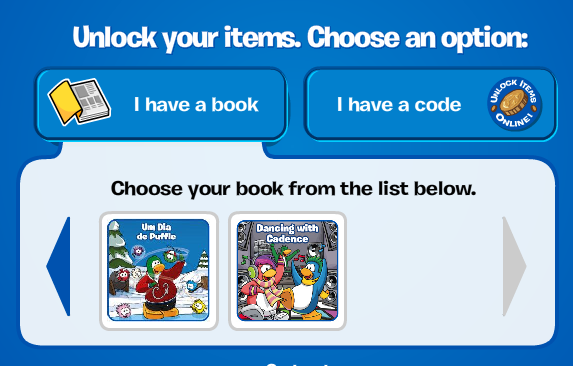 You can now unlock “Dancing with Cadence” to get the free items and coins. Just go to play.clubpenguin.com and them click “i have a code”. Then select the book and enter in the word that it tells you to. This entry was posted in cadence and tagged black, book, cadence, call, cheats, club, codes, cp, dancing, duty, free, new, of, ops, penguin, spotman64, twitter, unlock, unlockable, unlocked, with, youtube. Bookmark the permalink. 1 Response to “Dancing with Cadence” can now be unlocked!